Our customer DENSO is a global manufacturer of automotive components, serving all major car manufacturers. With a commitment to sustainable and environmentally sound production, the company is always looking for innovative and environmentally sound solutions for their waste management. For this particular project, Waste Efficiency was tasked with finding a solution for a plastic waste stream. We were keen to find a closed loop solution for our customer for this particular waste stream, which is congruent with their commitment to sustainability and environmentally sound production and zero landfill policy. 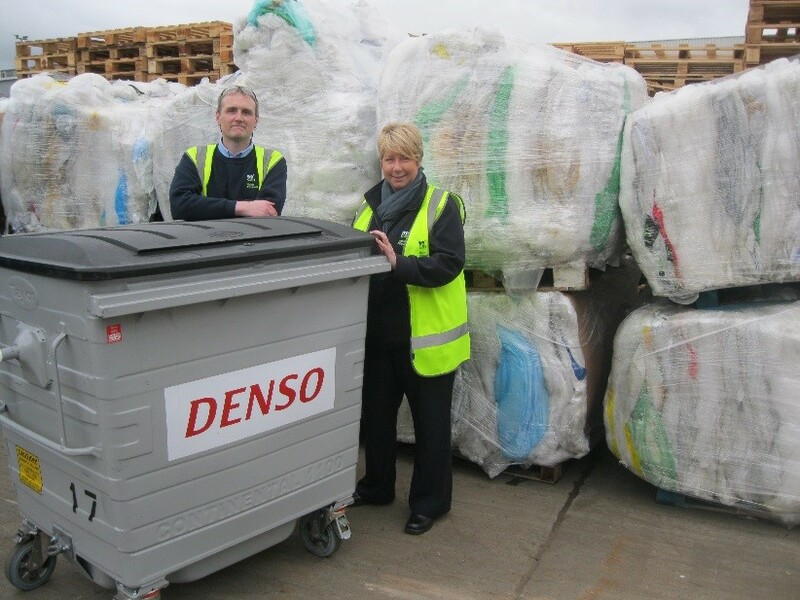 We worked closely with DENSO to find a solution for disposing of this waste whilst also providing them with a product to re-use as a result. Enabling them to close the loop on this particular waste stream. Plastecowood a company based in North Wales, provide closed loop recycling options by recycling plastics and turning them into external lumber they call Smartawood. This can be used to build many different products such as outdoor furniture and also for larger design and build projects or bespoke products. Waste Efficiency arranged for plastic to be collected from the DENSO site and taken to Plastecowood who then turned this into several different products for the company including picnic benches and chairs. These will be used in the organisations eco garden. DENSO is committed to being socially responsible and has eco gardens on many of their sites. The gardens are used on a regular basis by employees, and also as a learning resource for local schools and groups. The recycled plastic turned into garden furniture will be used in the eco garden.